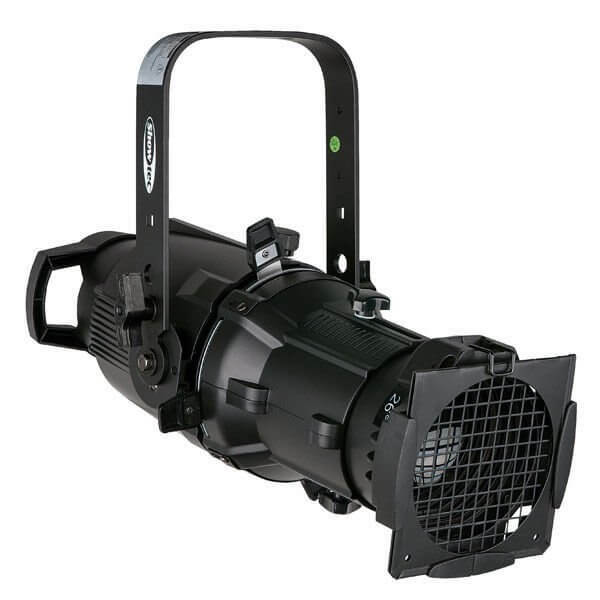 The Multi Profile Par allows you to create projection of any shape or gobo. The Multi Profile Par is available in four different beam-angles. With the use of the popular 575W Bulb it is possible to get the light output of a common 1000W bulb. The Multi Profile Par allows you to create a projection of any shape or gobo. The Multi Profile Par is available in four different beam-angles. With the use of the popular 575W Bulb, it is possible to get the light output of a common 1000W bulb. The rugged die-cast aluminium construction is suitable for all kind of applications.